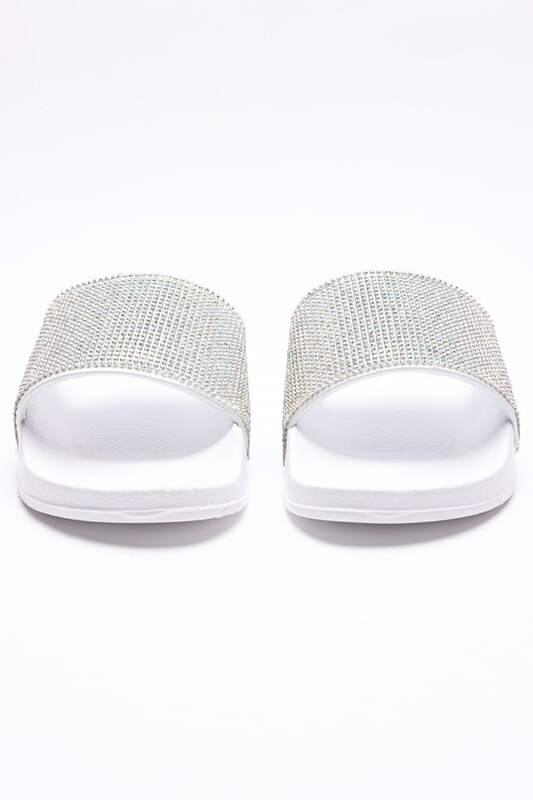 Girl these white sliders are a vacay must have. 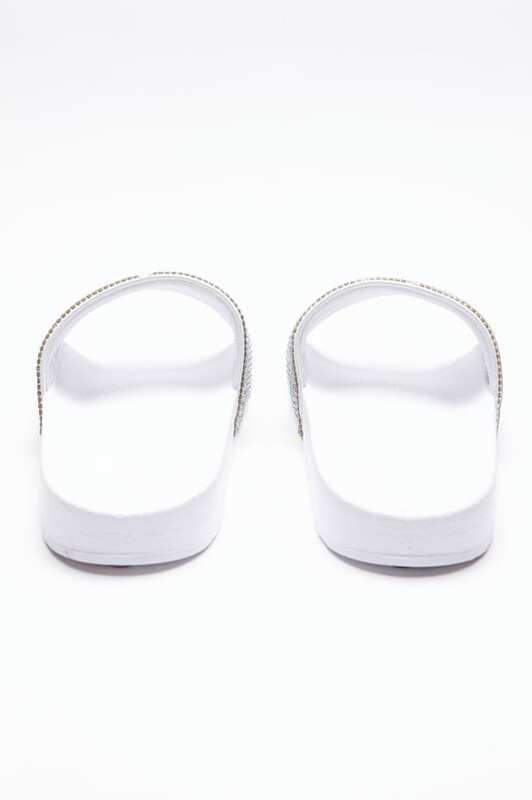 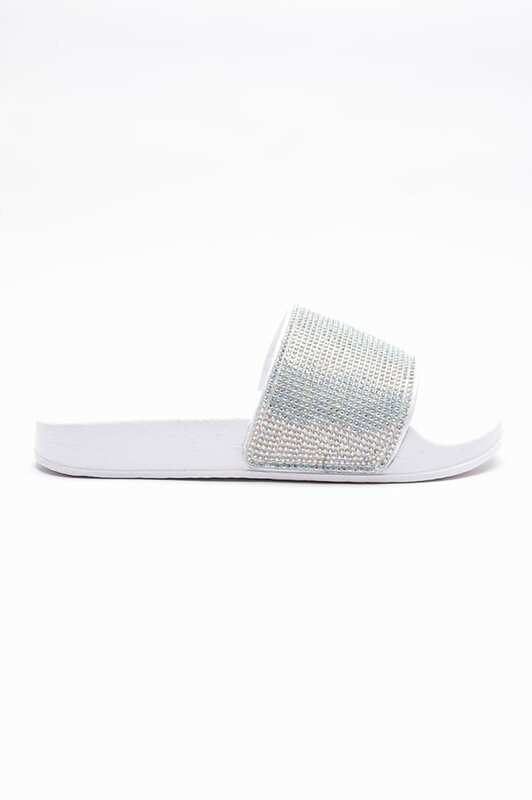 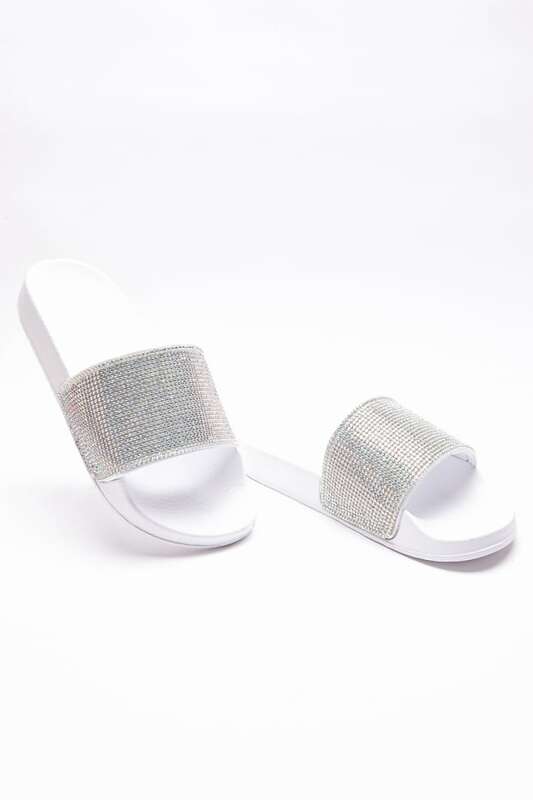 In a cool slip on style featuring a white holographic strap, these are the perfect pick to strut your stuff! 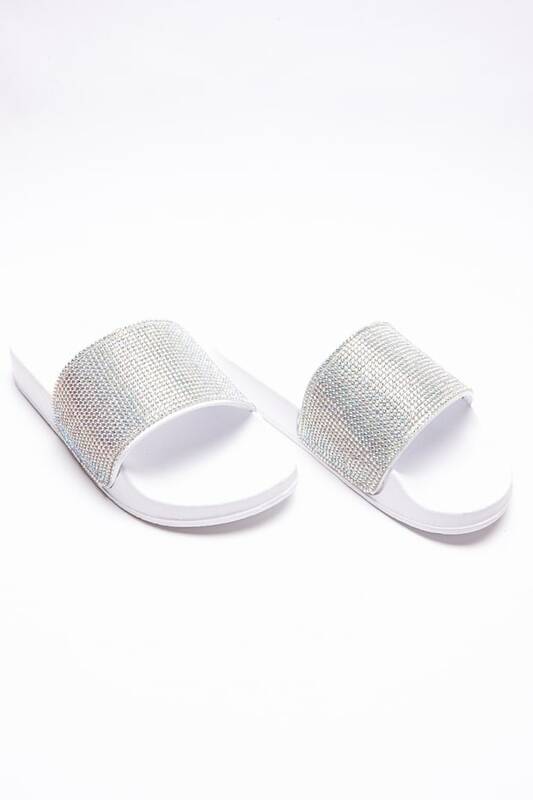 Check out the other colourways!